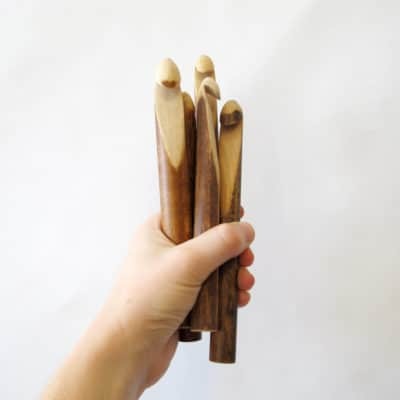 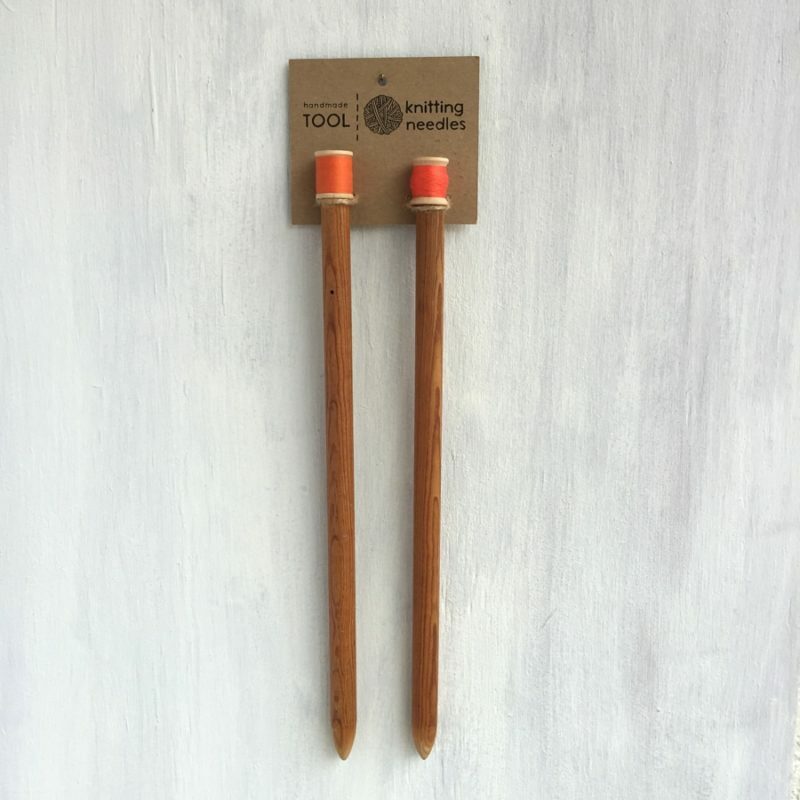 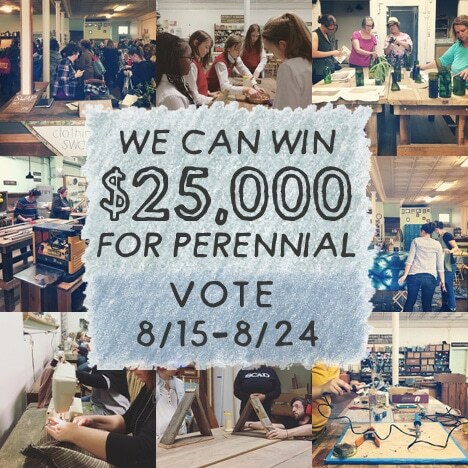 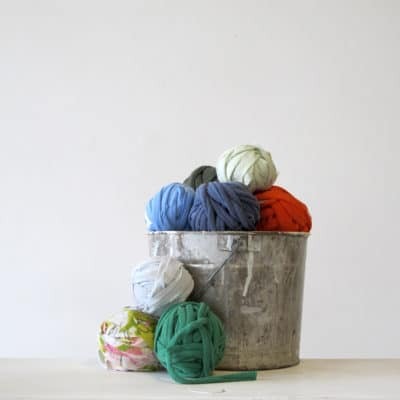 Our large knitting needles are hand-carved from salvaged wood chairs and other found wood. 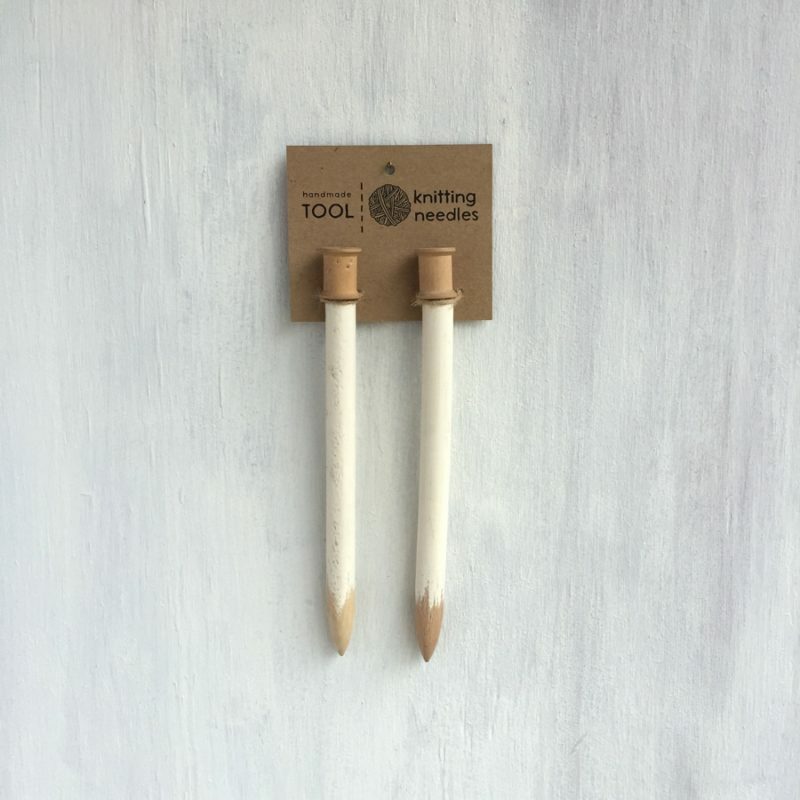 Each needle is capped with a vintage wood spool. 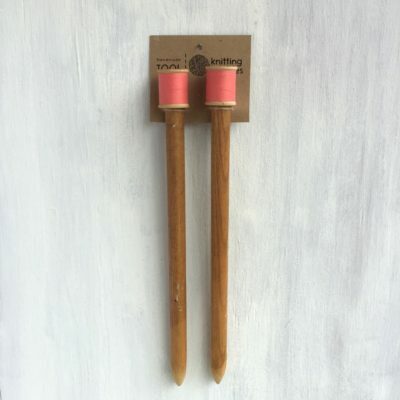 Our large knitting needles are sized 19+ and vary in length.